THE JEROME FARMERS MARKET IS CELEBRATING OUR 6TH ANNUAL SUNFLOWER RUN! THE SUNFLOWER RUN IS NOT A RACE, BUT AN OPPORTUNITY TO BE WITH THOSE PEOPLE IN YOUR LIFE YOU HOLD DEAR. 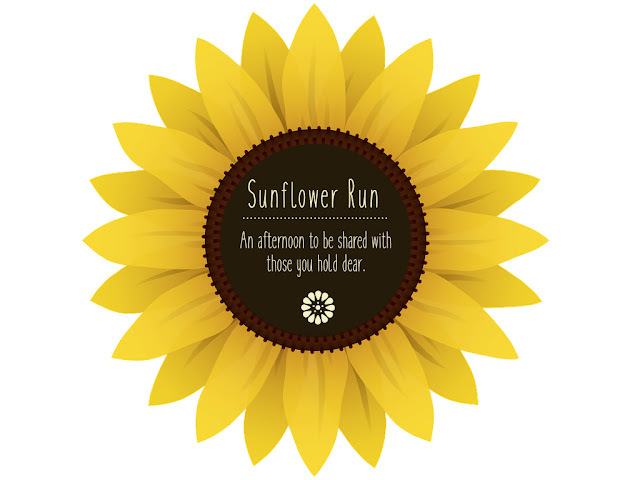 THE SUNFLOWER RUN BEGAN MANY YEARS AGO AS THREE GENERATIONS OF WOMEN; A GRANDMOTHER, TWO YOUNG MOTHERS AND THEIR DAUGHTERS DECIDED TO GO FOR LUNCH ON THE FIRST SATURDAY IN AUGUST. ON THE WAY HOME FROM LUNCH, THEY NOTICED A LOVELY BUNCH OF WILD SUNFLOWERS NEAR THE SIDE OF THE ROAD. THEY DECIDED TO PICK THEM TO TAKE HOME TO REMEMBER SUCH A LOVELY AFTERNOON. THE ELDEST SISTER WENT TO PICK THE FIRST SUNFLOWER AS THE OTHER WOMEN AND GIRLS WATCHED. IT SOON BECAME APPARENT THAT THE SUNFLOWER'S WEREN'T GOING ANYWHERE AS THE ELDEST SISTER BROKE OUT IN A SWEAT, CROUCHING DOWN, TUGGING AND PULLING ON A LONG THIN STEM OF A SUNFLOWER WITH ALL HER MIGHT. THE SIGHT WAS JUST TOO FUNNY, AND THE SPECTATORS BROKE OUT IN A FIT OF LAUGHTER. THEY COULDN'T STOP LAUGHING, THE ELDEST SISTER INCLUDED. THEY SOON GOT A KNIFE AND CUT THE STEMS. BUT THE MEMORY OF THE FUN AND LAUGHTER SHARED ON THAT AFTERNOON REMAINS ALIVE AND WELL AS EACH YEAR ON THE FIRST SATURDAY IN AUGUST, MOTHERS AND DAUGHTERS GO TO LUNCH TOGETHER AND PICK WILD SUNFLOWERS! THE MOUNTAIN VIEW BARN HAS LUNCH TAKEN CARE OF FOR YOU! THIS SATURDAY THEY ARE SERVING A DELICIOUS ALFRESCO LUNCH WITH CHICKEN SALAD ON A CROSSIANT, A FRUIT WEDGE, AND LEMON TART! 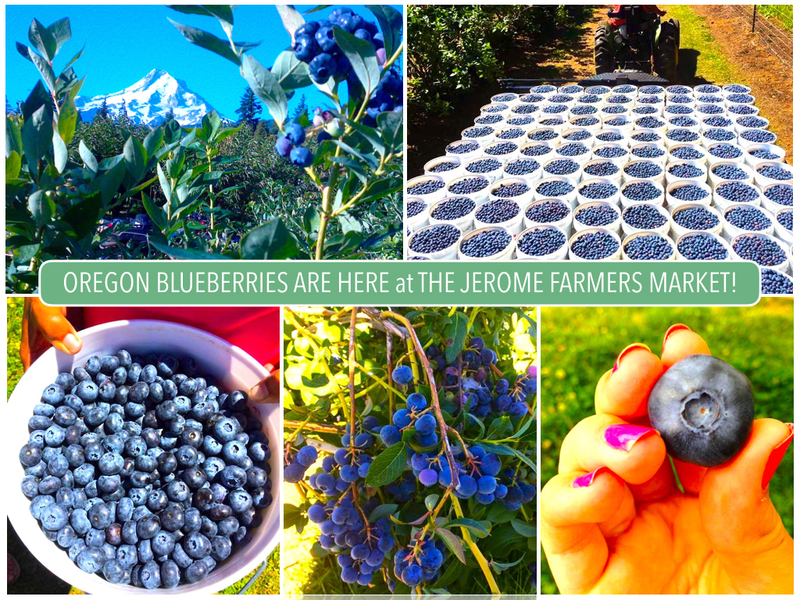 WE WILL HAVE A GREAT SUPPLY OF OREGON BLUEBERRIES THIS WEEK. OUR BALSAMICS & OLIVE OILS WILL BE ON SALE THIS SATURDAY ONLY! LOWEST PRICE OF THE SEASON. THIS WILL BE YOUR BEST OPPORTUNITY TO STOCK UP. CUCUMBERS, BEANS, AND A BUNCH OF SUMMER VEGGIES WILL BE OFFERED. WE WILL BE GIVING AWAY FREE SUNFLOWER SEEDS AND YOU WILL FIND SUNFLOWER TREASURES THROUGH OUT THE MARKET. 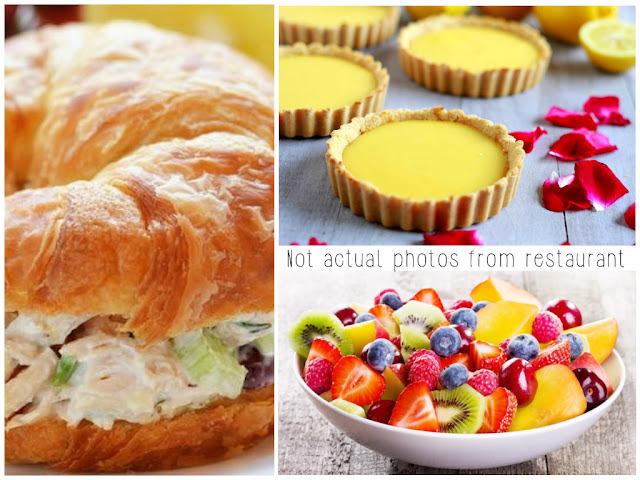 IT’S A FABULOUS OPPORTUNITY TO SHOP, HAVE LUNCH AND BE AMONG FRIENDS. MARK SATURDAY ON YOUR CALENDAR AND BEGIN A TRADITION!